Saudi Aramco, a major oil company, recently co-hosted the “Governance in Focus” forum with the Pearl Initiative at the King Abdullah Petroleum Studies and Research Center (KAPSARC) in Riyadh, Saudi Arabia. 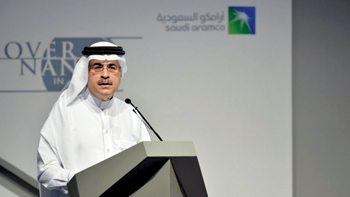 The event was held under the patronage of Khalid Al-Falih, Minister of Energy, Industry, and Mineral Resources. “We have been global from our very beginning – more than eight decades ago. International standards of governance have always been an integral part of what we do and how we do things. In our efforts to achieve Saudi Vision 2030 and align ourselves with its aspirations, the kingdom’s corporations and entities, now have the opportunity to apply or redefine its set of governance at the highest standards, which is vital for the economic transformation that’s currently underway in the kingdom,” he added. Nasser emphasised the role of corporate governance in maintaining the highest standards of ethical conduct and promoting commitment to effective oversight, leadership, and reporting. Badr Jafar, founder of the Pearl Initiative and CEO of Crescent Enterprises, said: “The forum marks the beginning of the Pearl Initiative’s strategic relationship with Saudi Aramco, an invaluable member of our network of partner companies from across the Gulf region committed to a vision of thriving economies underpinned by a private sector that embraces good governance as a pillar of sustainable growth,” he said. The forum’s theme was ‘Boosting Competitiveness in a New Business Paradigm’ and among prominent speakers included Khalid Al-Falih, Minister of Energy, Industry, and Mineral Resources. The forum focused on the business case behind corporate governance and how good governance frameworks support the rapidly developing private sector in the GCC region. The Pearl Initiative was formed by prominent business leaders from across the GCC in 2010.